Thank you ALL so much for getting in on the awesome giveaway for the Coconut Oil! Now to announce the winner!! 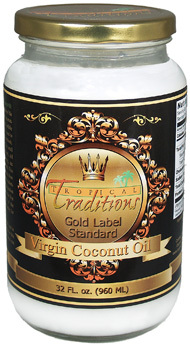 You have 48 hours to contact us with your address... and then we will send it to Tropical Traditions, who will send you your FREE, AWESOME coconut oil! Thanks all.. be on the look out for another giveaway soon!